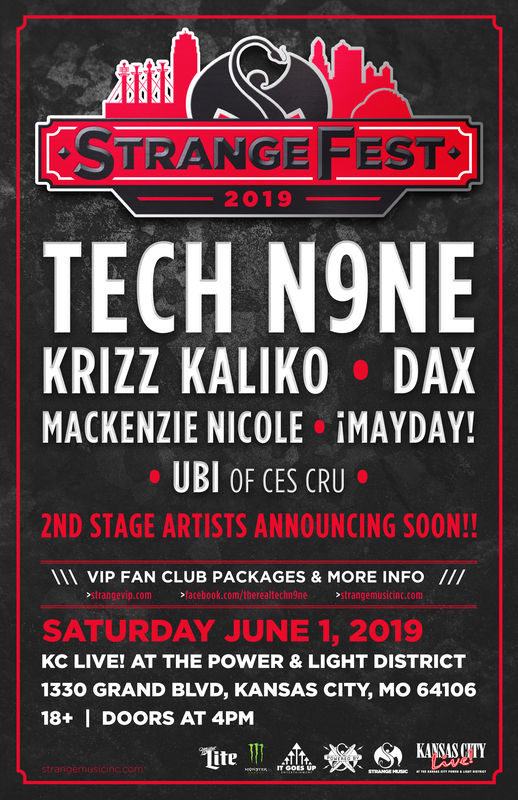 Tech N9ne and Strange Music are taking over the Power & Light district on Saturday June 1st for StrangeFest 2019! With two stages of live music kicking off at 5 PM and so much more, StrangeFest 2019 is a can’t miss event! Come see Tech N9ne, Krizz Kaliko, DAX, ¡MAYDAY!, UBI of Ces Cru, Mackenzie Nicole and more! 2nd stage lineup announcement coming soon! Tickets are on sale NOW at strangevip.com!